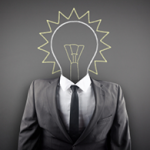 Internet has become an integral part of today’s businesses. It helps companies to do business, developers to get new job and everyone to communicate with each other. All these activities need the creation of virtual information space. And this space is filled with websites. Whether you are newbie who never met with website building or have huge experience in development, you can easy reproduce all your desires on the monitor. There is only one thing left – HOW? Of course, you can hire team consists of designers, developers, SEO managers, etc. or you can use content management system. 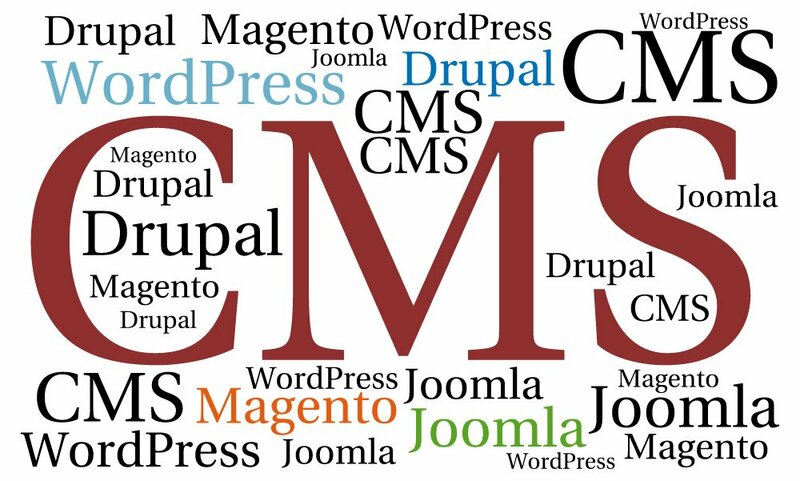 There are about 31% of websites that use CMS. You can see below the graph shows the historical trend in the percentage of website using CMS from September 1, 2011 till September 19, 2012. This is all because CMS make your life easier. And depending on your goals you can choose the most appropriate content management system. There are a lot of reasons for creation of your own website, such as represent your enterprise in the network (corporate website), online shop, information website, social media, galleries, blogs, forums, etc. There is trend to favor free CMS, because of their absolute advantages. In this article we aim to show you all the benefits and disadvantages of five the most popular CMS in order to help you make the right decision. This dedicated diagram shows the market share trends of CMS usage. There are separated five the most popular systems which are used by 76% websites build on CMS. Only 24% of websites use other CMS. As you see, more than a half of the users prefer WordPress. And below you’ll see why. This is hard to say something new about WordPress. This CMS began as innovative, usability blogging platform. But increase of its features made WordPress widely used for other website’s formats also. Web design industry has born the huge demand for WordPress development services. WordPress is used for everything from personal blogs to e-commerce websites. Well, it is the most popular CMS: more than 50% CMS users prefer exactly WordPress. Probably this statistics is very strong proof of its absolute advantages. This system gives you a lot of chooses. Thus the most problem arises: how can you use all its power? This CMS works much better if you know how to customize settings. If you are newbie you may face some issues when installing, despite the social opinion about the easiest CMS installation. This CMS is the best if you are looking for easy-to-manage website. Usage of WordPress makes easy expanding functionality of the website. Joomla is the next at the popularity top and used by 9% of CMS users. This system is like a middle ground between the extensive capabilities of developer-oriented Drupal and more complex website development options than WordPress. Despite on this Joomla is still user-friendly. This system is growing as you are growing that can be more difficult with WordPress. It has usability admin section with vast array of options: templates, styles, menu management tools, adding feeds, content blogs, etc. And we can’t not to mention the fact that this CMS is very beautiful. It can be seemed for not advanced users that Joomla has a lot of unnecessary options, but it is still not appreciated by pro developers. Joomla is the best decision if you are looking for the CMS with ability to perform advanced functions with robust features. It allows you to build a website with a more content and flexibility than WordPress. You can use it for Corporate Intranets and Extranets, E-Commerce apps, Community webportal, etc. About 7% of CMS users and developers swear by its overall power. Using this developer-friendly tool you can build complex websites. And like all powerful tools Drupal requires some technical skills and experience to operate, much more than WordPress and Joomla. This is a good but technically complicated solution for complex, versatile and advanced websites. Usually Drupal is used for websites that require complex data organization, for forums, online stores, weblogs, corporate and community platform websites. This CMS is preferred by almost 4% of users. But in terms of popularity and traffic compared this CMS is losing its market position. 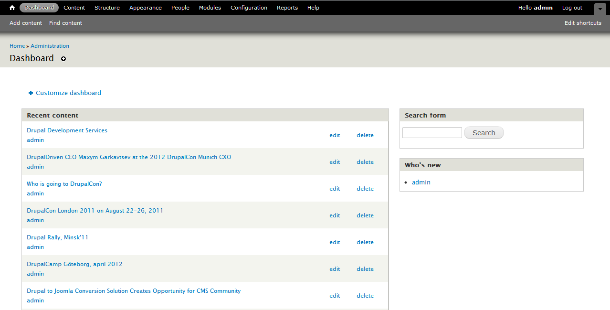 vBulletin provides forum software, blog and the forum tools. Vast of the components which make easier SEO process. In case if you will want to import data from other bulletin board systems you’ll have to install modification patch separately. vBulletin is an advanced forum software and content publishing suit. 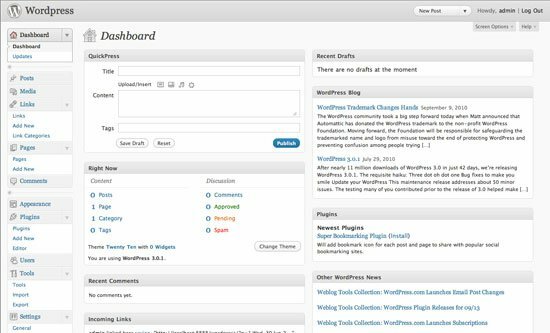 Undoubtedly this is a good solution if you decided to start forums board in your blog and vBulletin gives you simple control over your website. vBulletin was developed by JelSoft, but later InternetBrands bought it. Switching the developers led to vBulletin 4 is still green. Even on the official community was a tag «vB 4 Is gay» in the tag Cloud Bookmarks. TYPO3 is used by 2% of the websites built with CMS. And the demand for this system has grown since the release of the Version 4. This is feature richness, professional and powerful CMS. TYPO3 as any CMS has security disadvantages, but not a lot. You can easy to add content, pages, docs, images even if you are not advanced user and don’t know much about HTML and web layout. TYPO3 can be used for creation of blogs, home pages, newspapers, educational, E-Commerce, etc. So we shared with you the facts you need to know for creation the most successful and easy-managed website. It’s up to you what to choose!